I have been making headstones for fifteen years. I hope this article helps people who are thinking about a headstone. When should I choose a headstone? Of all the wisdom I can offer, this is the most important. 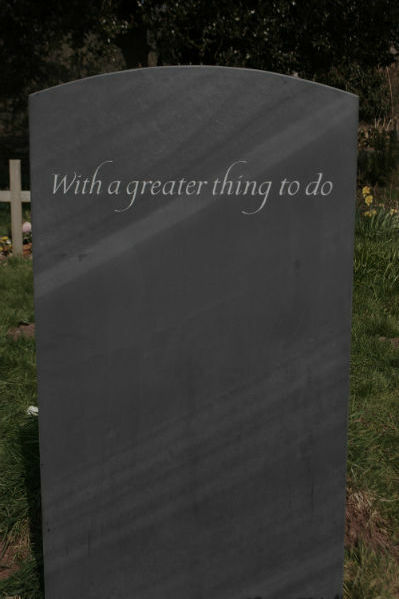 People often express a real guilt about taking so long 'getting round' to organising a headstone to be placed. What a shame this is, that they feel this pressure and shame. There should be no time scale placed on installing a memorial. You should not commission a headstone until you feel ready. Sadly however, it is all too common that people are put under pressure by funeral directors who have a vested interest (such as a sister company making memorials), or by family members who are embarrassed by the fact that the plot may look neglected. You might feel that the local community will be gossiping about how long you are taking to sort things out. The truth is that time really does make a difference, and the longer you take over the thinking and commissioning process, the better the final result. A good example of this is when a parent has lost a child and they feel they must act quickly and decide upon a headstone. If it is commissioned too early, it is likely that the emotions of sadness will be expressed in words on the headstone. There is nothing wrong with this particularly, but I have learnt that the longer you take before choosing the words, the more timeless they become as well as more life-celebrating. With time, your mind becomes clearer and the words you choose tend to be deeper and longer lasting. I have had clients who have been deliberating on an epitaph for years on end and it is interesting to note how the words gradually change as time moves on and the client increasingly remembers the good times. This is when the best results occur, and the memorial becomes a real monument to the individual's life and personality. 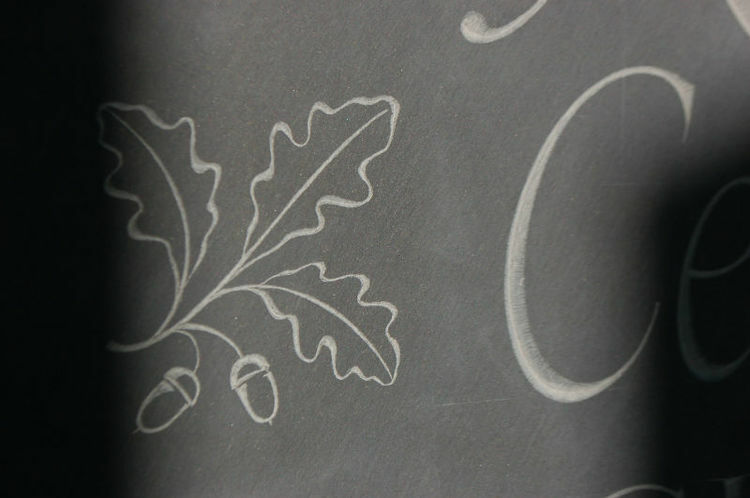 As the maker, I feel a strong obligation to talk through every aspect of the inscription with the client so that every mark we make on the stone is purposeful and deliberate. In many ways it embodies what a headstone may represent. How long does it take for a headstone to be erected? Another very good reason to wait before doing anything is to allow the grave to settle. The Church recommends a minimum of six months, but I would advise waiting at least twelve to eighteen months. If the headstone is set too soon there is a real danger that as the grave sinks the headstone will lean forwards. Although it is relatively easy to upright the stone, the whole thing can cause much distress to the family. The average time it takes to begin the process is three years, but again there should be no typical time frame. If a family member or friend is putting you under pressure, explain that you have begun the process in your mind, and it will just take time. Once you decide to commission a headstone, some monumental masons can make an off the shelf headstone in three-four weeks. 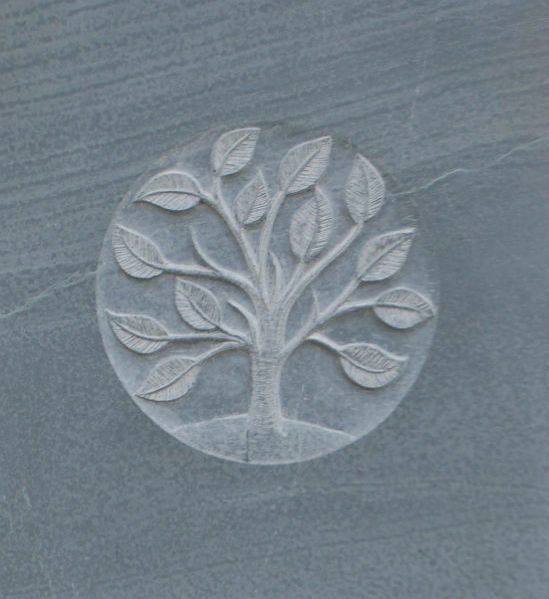 Most bespoke headstones take much longer to make, as the stone needs to be ordered individually and the whole process usually takes at least six months, and often much longer. The headstone is going to be in position for a very long time and your family needs to be more than satisfied with the end result. Being involved in the decision making throughout the whole process has many benefits. You not only feel that you have contributed at every stage, but it becomes your project rather than just the maker's.